Knitta Please, also known as simply Knitta, is the group of artists who began the “knit graffiti” movement in Houston, Texas in 2005. They are known for wrapping public architecture—e.g. 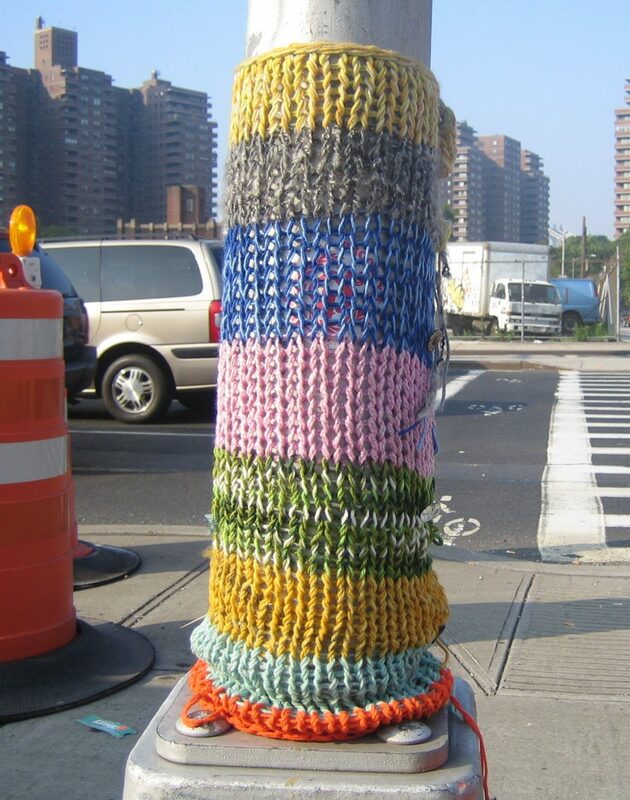 lampposts, parking meters, telephone poles, and signage—with knitted or crocheted material. 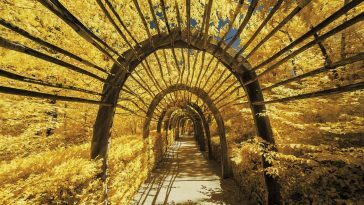 It has been called “knit graffiti”, “yarn storming” and “yarnbombing”. The mission is to make street art “a little more warm and fuzzy.